🍺 = Perfect Hangover Cure & (v) Indicates when a dish can be altered to be a vegetarian option. 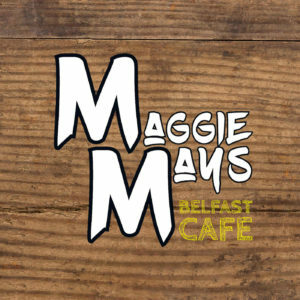 Maggie Mays is a local family run chain of cafes that provides great tasting and great value breakfasts, lunches and dinners; whatever time of the day. Maggie Mays is your home from home with artisan coffees, custom made milkshakes and the most amazing sweet treats to boot. Maggie Mays doesn’t do many rules. We serve breakfast all day. We serve dinner all day. We know that not all the hardworking folk of Belfast keep the same hours! You can bring the kids; the dogs are welcome if they don’t mind dining al fresco and you can BYOB if you are coming with someone who drives you to drink! Come in your work clothes, come in your gym kit, come in your Saturday night dress on a Sunday. Nobody is going to judge you at Maggie Mays. Maggie Mays also understands that people make ethical choices about their diet and tries to be as inclusive as we can with regards our menu. We provide dairy free alternatives where milk is used in all our drinks and there are many vegan and vegetarian options on the menu. If in doubt don’t be afraid to ask! White bread or granary with cheddar & beans. Poached/scrambled /fried served with white, granary or sour dough toast. Floury toasted bap with two ﬁllings of your choice. Fried, toasted or just buttered With two ﬁllings of your choice. Bacon & eggs / sausage & egg / mushroom & egg, or why not create your own with two ﬁllings of your choice. Made with three eggs. Bacon & mushroom / ham & cheese / sausage & bacon. Why not create your own with two ﬁllings of your choice served with toast. Cheesy scrambled eggs, bacon, toasted bagel. Two egg, soda bread, potato bread , pancake, hash brown, mushrooms, tomato, beans & veggie sausage. Egg, bacon, sausage, potato bread, soda bread, pancake, hash brown, mushrooms & tomato. Served with fresh wheaten bread. Check the board or just ask. Served with fresh wheaten bread. Fresh soda, served with garlic butter, fresh melted cheddar cheese. Served with 2 dips. Choose from Garlic mayo, Sweet chilli, Bbq. Choose One or be Creative and Add Fillings! All Baked Potatoes Are Served With a Side Salad. Toasted double-decker packed with chicken, bacon, lettuce, tomato, cucumber & Mayo. Oriental style beef / chicken or vegetables stir fried. served in a pitta pocket with garlic or chilli sauce. Classic homemade italian beef bolognese, sandwiched between fresh pasta in a creamy sauce with cheese. Strips of chicken/beef with mushrooms, onions and peppers in a spicy tomato sauce. Wrapped in a ﬂour tortilla with salsa & sour cream. Pan fried breast of chicken smothered in a sweet chilli sauce. Roast breast of chicken on the bone smothered in a creamy peppercorn sauce. Chicken pieces, mushrooms in a creamy white sauce topped with toasted breadcrumbs & melted cheese. Freshly baked ciabatta ﬁlled with strips of steak, sauté onions. Topped with our peppercorn sauce. Served with mushrooms, onions, tomato and a choice of sauce. Succulent steak pieces, potatoes, onions, carrots, and gravy cooked to a traditional recipe. Served with homemade wheaten. homemade chips topped with a classic Italian beef bolognese (beef / veggie chilli) & melted cheddar cheese. Made with three eggs. Two ﬁllings of your choice. 100% pure ground beef with tomatoes, kidney beans, garlic, peppers, chillies. Served with rice or chips. Irish potatoes mashed with cream, scallions. Served with pork sausages & beans. Three pork sausages with a large portion of home-made chips and beans. Veggie Sausage available. Home made chips topped with 100% beef chilli, taco sauce and melted cheese. Chicken, beef or vegetable with rice, chips or half & half. Cod dipped in ale batter, served with homemade chips and peas. All burgers are served in a floury bap with lettuce & mayo (optional). with lettuce, tomato, onions & cucumber. Pineapple & thousand island dressing. Melted cheddar cheese & local bacon. Fried egg & Fried Onion. Melted Cheddar cheese, fried onions & peppered sauce. Cheese, bacon, bbq sauce & fried onions. Cheese, bacon, lettuce, tomato, fried egg & onion. With Fresh Banana, Raisins and Maple Syrup. Oriental style vegetables stir fried. served in a pitta pocket with garlic or chilli sauce. 100% veggie chilli with tomatoes, kidney beans, garlic, peppers, chillies. Served with rice or chips. Three veggie sausages with a large portion of home-made chips and beans. Vegan ice-cream, choice of ﬂavour, soya or almond milk, vanilla, topped with coconut cream, oreo, skittles, peanut butter, millions, raspberry, strawberry, banana, raspberry ruffle. All served with diluted blackcurrant or orange juice. 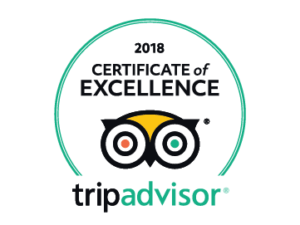 All of above served with custard, ice cream or fresh cream. 3 scoops of ice-cream topped with choice of sauce ﬁnished with a ﬂake. with butter & jam 1.90.
with fresh cream and jam 2.30. Any milk based drinks can also be made with semi skimmed, almond or soya milk. Freds apple pie, whipped cream topped with oreo crumbs. Fudge brownie, chocolate sauce, whipped cream topped with nuts. Chocolate bar, cappuccino whipped cream, chocolate dust. Peanut butter, banana, nutella, whipped cream, nuts. Daim Bar, toffee crisp, toffee sauce. Digestive biscuit, toffee, banana, whipped cream topped with nuts. Oreos, chocolate chip cookies, topped with oreo crumbs & cream. Strawberry million, strawberries with whipped cream. Chocolate fudge cake, ﬂake, chocolate sauce, chocolate dust. Blueberry, raspberry, apple juice, banana. Double expresso, chocolate syrup, whipped cream, nuts. Bubblegum millions, strawberry sauce, topped with whipped cream, strawberry millions, marshmallows and a bubbly. Kinder bueno and white chocolate topped with cream and crushed bueno. Bailey’s, ﬂake, chocolate sauce, whipped cream. Although we don’t accept credit/debit cards there are cash machines very close to all three Maggie Mays. We are also BYOB friendly (with off licences nearby all three cafes). £1.50 for corkage for 1 bottle of wine or four beers.